Banded Piping Plover B02 – Yellow Over White, Blue over Orange. Click on photo to see larger. 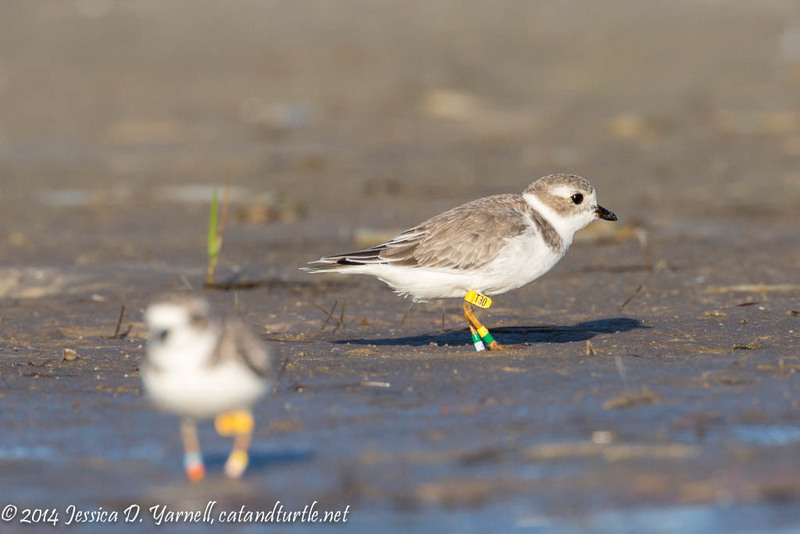 Banded Piping Plover T30 – Green over Blue, Yellow over Green. Click on photo to see larger. Hi Jess – thanks so much for reporting these re-sightings, and for the excellent photos! These birds were banded by USGS working with plovers in the Great Plains. B02 – this is a fairly old bird! It was banded as a 2-day-old chick on 14 July 2007 on Lake Sakakawea in North Dakota. It has been observed in Fort DeSoto every winter since 2010. It’s lower left is actually yellow over pink (we plan to replace faded bands in 2015). Metal band# 199192017. T30 – banded as an adult on 28 May 2014 on Lake Oahe near Pollock, South Dakota. 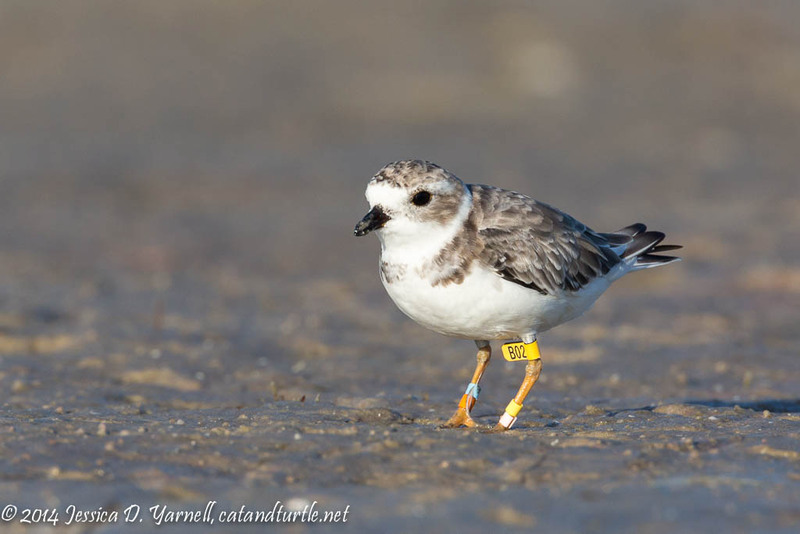 Observed several times in Fort DeSoto since July 2014 – he was the very first USGS-banded bird to be reported from the wintering grounds this season. Metal band# 256152529 (not submitted yet). It gives you new respect for six-inch long birds when you see the long distances that they travel each year. They travel to the northern Great Plains to lay their eggs and raise their young. Then they fly to Florida for the winter. Audubon did a neat write-up on their incredible journey. Check it out!